Please adopt, don't shop. Many of the dogs we get to the rescue are not defective or damaged in any way. We turn away 500+ homeless dogs a year now and we are one breed rescuer near one small town. Think before you breed another litter please that we will rescue later on. We know you've always wanted a dog and now's the time! We are here to help you get ready for your new family member, as and as soon as you're ready to take the big plunge. Owning a rescued animal is, after all, one of the most gratifying things you can do. Please do NOT buy your animals in parking lots which is it illegal in most counties in our state now. Go to people's homes to inspect them, and do not leave until you get your paperwork including receipts and the animal's registration papers when picking up your puppy, bird, cats, etc. When buying in parking lots you could be putting money in the hands of major animal abusers and prolific puppy mill breeders like these people below. If the critter is not as promised, how do you return them to a parking lot when they refuse to mail paperwork later or a usual puppy mill breeder's tricks? Get a receipt with all of their contact information and stop texting people. Get emails and stuff in writing like guarantees and return policies. ​Thanks for nominating us for this award that we won as the Best Animal Rescue in this Spokane area in December of 2018! We thought folks would like to know. We LOVE dogs! Dachshund Rescue NW has now placed OVER 2,000 homeless wieners and counting since 1991. Thanks to all our 100+ regular volunteers who help keep our favorite breed out of area animal shelters! There is NO paid staff here since April 11, 1991 when we rescued our first dog, a bottle baby we named Hunter. We placed 151 dogs in 2018 and placed two dogs already in 2019. We placed 157 in 2016 and 144 in 2017 so we are placing around 150 dogs each year now thanks to all our great volunteers who help here at the house and at our events. Thanks everyone! Photos by Dragoon Studios on this site of our dogs. www.dragoonstudios.net All rights reserved and copyrighted materials. Thanks. page on this web site. Below: This is the front of the Jeff and Sarah Elaine Schak's farm just a few miles west of Deer Park, Wash. but they mostly selling in parking lots after texting people. Both Jeff and Sarah Schak are suspended from selling AKC registered dogs for five years with very good reason as of July 2016! See more on post on left and click red button above for more details. See the last page of this site as well for more photos for folks selling many breeds of dogs, birds, bunnies, horses, farm animals online and meeting folks in parking lots all over this Pacific Northwest region or giving to others to sell for them as well. Stop buying your animals online so we can get puppy mill breeders like these criminals closed for good.! Want to help us? We work hard to make sure that we take care of all of our dogs here at Dachshund Rescue NW. But, unfortunately we can't do it without people like you and your donations of time and money. So, if you ever feel like you want to be a part of our family and help some of the best animals around, check us out. Please see our Volunteer page. It's hard knowing what to do when you're about to send your dog to a rescue. Our dog rescue has always had an A+ rating with the Better Business Bureau and we always encourage inspections here so folks are assured we will love their dogs like our own until placed. But, we make this process even easier when you place your dog with us, because we have trained volunteers that will go over every possible question or concern you and your family might have when your dogs need to come to us instead of a dog shelter. We screen homes better than most families and have years of follow up. We speak wiener here and know the breed over 40+ years. They are not warehoused but a couch based dog rescue. When folks come to inspect us they will see that. 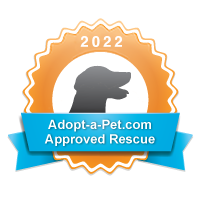 Our dog rescue is one of the best in this entire region and we get referrals from up and down the west coast. We have to schedule dogs to come here so email as soon as you might need to place your dogs. We try to get them in within a week but if overfull sometimes up to two weeks. We adopt two dogs on average every week when we have 100+ volunteers to meet and greet, etc. The dog rescue is at the director's home and folks are always welcome to see what we do here. We have nothing to hide with lots of visitors and parties here. We are a licensed dog rescue with the county or animal control and they inspect us also. This rescue has 3000+ visitors a year when folks find us on Facebook and other social media. The more the merrier so come and visit and see why we have been rescuing since 1991. The dogs come first at our Wiener Ranch. Appointments in advance please so no one gets chomped when the dogs are loose and playing. Please see the second to the last page of this site for more details on how to stop puppy mills like this one in your area like this one.